1. Consider the strategic direction of the agency as set forth most recently in 2011 NASA Strategic Plan and other relevant statements of space policy issued by the President of the United States. 2. Consider the goals for the agency set forth in the National Aeronautics and Space Act of 1958 (as amended) and the National Aeronautics and Space Administration Authorization Acts of 2005, 2008 and 2010. 3. Consider previous studies and reports relevant to this task. 4. Assess the relevance of NASA's strategic direction and goals to achieving national priorities. 5. 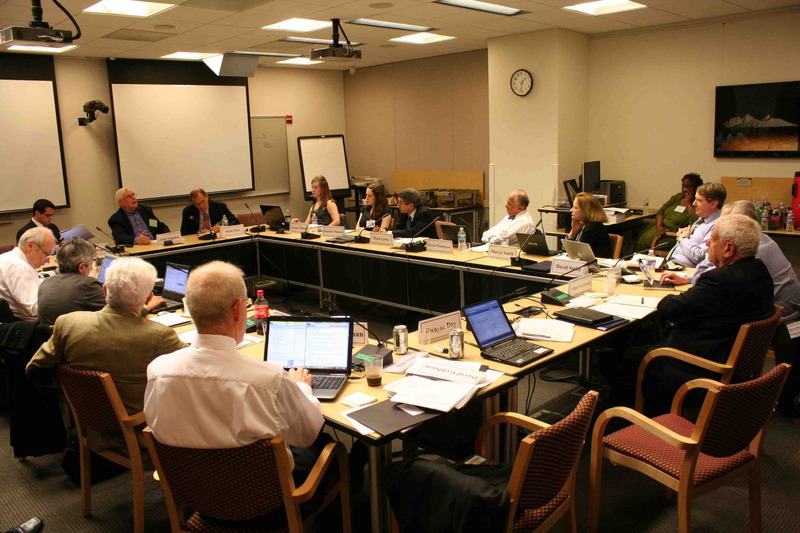 Assess the viability of NASA's strategic direction and goals in the context of current budget expectations and stated programmatic priorities for the agency. 8. Recommend how NASA could establish and effectively communicate a common, unifying vision for NASA's strategic direction that encompasses NASA's varied missions. Any recommendations made by the committee will be predicated on the assumption that NASA's out year budget profile will be constrained due to continuing deficit reduction. 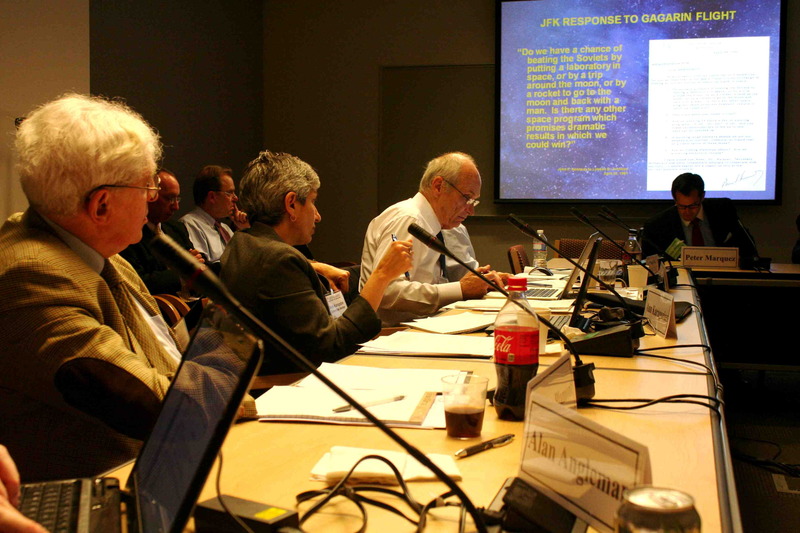 The Strategic Directions Committee is listening to a wide variety of experts in aeronautics and space science and technology, space policy and programs, and communications strategy, and it wants to hear from other stakeholders, including the public, as well. The committee invited your responses to the seven questions listed in our public input form. This site was available for comments through August 17, 2012. Submitted comments are viewable to the public. Committee, staff and speakers at the first meeting, held in May 2012. More images from June meeting and site visits.